Sacred text translation and Translation Studies share a common lineage in the work of Nida... and sacred text translation has historically fed into theories at the centre of Translation and Interpreting studies..., but most other activities included in Translation and Interpreting in Religious Settings (henceforth TIRS), find themselves on the periphery of the field. While Interpreting Studies has been expanding into the examination of interpreting in community settings since the 1980s, interpreting in religious settings has received little attention. In other words, academia had been ignoring the importance of religious translation. Well, time flies and the conference will actually be taking place at the end of this week and it includes a paper by a regular reader of this blog, Andrew Owen (see References). I'm in no way involved in it; nevertheless, long affinity encourages me to make a 'fringe' contribution – something that being master of my own blog makes possible at short notice. Most religious translators (including interpreters) are non-professional Native or Expert Translators. The difficulty of understanding the texts and speeches rules out pure Natural Translators, but religious translators are familiar with the translations already made for their own sects and churches, including the Bible, and those educate them as Native Translators. The primordial purpose of religious translation, its raison d'être, is to spread and reinforce a religion. But in so doing, it's also greatly helped the diffusion of cultures and of languages. The spread of Islam, for example, promoted the use of Arabic for literary, philosophical and medical texts as well as for the Qur'an, and many of the Islamic texts were themselves translations from Greek, Persian, etc., part of a translation chain. My contribution is intended to point to a less obvious but scarcely less important effect: the invention and spread of alphabets and other writing systems. I first became conscious of it when visiting Bulgaria in the 1970s. I happened to be there on Saints Cyril and Methodius Day, a national holiday. These saints, who were brothers, were ninth-century missionaries and translators from Byzantium, "Apostles to the Slavs." They translated into languages that lacked a writing system, and so they had to invent one. They devised the so-called Glagolitic alphabet, the first alphabet used to transcribe Old Church Slavonic. Glagolitic was derived from Greek, but augmented by ligatures and consonants for sounds not found in Greek. During the following century, Glagolitic was developed in the then-powerful Bulgarian Empire into what we now know as the Cyrillic or 'Russian' alphabet. And that's how Cyrillic got its name. In Canada we have our own history of missionaries and writing systems. A famous example is the Cree syllabary (writing in which each character represents a whole syllable). 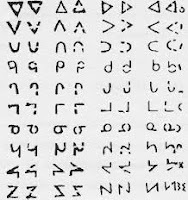 Cree syllabics were developed by James Evans, a missionary in what is now Manitoba, during the 1830s for the Ojibwe language. Evans had originally adapted the Latin script to Ojibwe,... but after learning of the success of the Cherokee syllabary [in the United States], he experimented with invented scripts based on his familiarity with shorthand and Devanagari. When Evans later worked with the closely related Cree, and ran into trouble with the Latin alphabet, he turned to his Ojibwe project and in 1840 adapted it to the Cree language. The result contained just nine glyph shapes, each of which stood for a syllable with the vowels determined by the orientations of these shapes. With the 1841 publication of a syllabics hymnbook, the new script spread quickly. The Cree valued it because it could be learned in just a few hours, and was visually distinctive from the Latin script of the colonial languages. 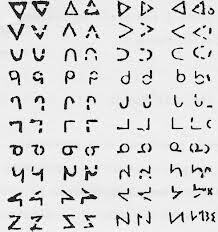 Virtually all Cree became literate in the new syllabary within a few years. Evans taught by writing on birchbark with soot, and he became known as "the man who made birchbark talk." All this was brought back to mind by an article that appeared last year in Translatio. (Translatio is the junior partner of Babel and has the same indefatigable editor-in-chief, René Haeseryn.) It's by S. O. Kolawole and Salawu Adewuno of Ado Ekiti University in Nigeria (see References). The first language of instruction in Hausaland was Arabic. But the Hausa language was established [as its competitor] by Christian missionaries after working hard to fix the Hausa orthography, vocabulary and grammar using the Roman alphabet. These scholarly works prompted translation activities in the northern parts of Nigeria, thereby opening the Hausa-Fulani peoples to a Western conception of life. The Bible, the Qur'an and several other religious books were translated. The difference in this case was that no new alphabet was invented. Instead an often used alternative route was taken: the adaptation of the Latin aka Roman alphabet to a quite alien language. Either way, the result is that a language is given its writing system by missionaries. No writing system, no written texts. No written texts, no written translation. In a way, religious faith apart, these writing systems were the missionaries' most fundamental bequest. Jonathan Downie, and Jill Karlik. Panel 19: Translating and interpreting in religious settings. Programme of the 7th EST Congress, Germersheim, 2013. The full programme with abstracts is here. Andrew Owen. Interpreting the public reading of Scripture. Paper to the 7th EST Congress, Germersheim, 2013. The abstract is here, on page 50. Saints Cyril and Methodius. Wikipedia. Click here. Cyrillic script. Wikipedia. Click here. Cree syllabics. Wikipedia. Click here. S. O. Kulawole and Salawu Adewuno. Translation activities in Hausaland: a historical perspective. Translatio 31(2012);3.127-140. Although Aida Martínez-Gómez lives quite close to me at Alicante, a mere 170 km away, I've only recently become aware of her research. She's one of the new generation of Spanish translatologists who got their PhDs since the 90s, when translation studies really took off in Spain. Now those graduates have spread to other countries, and so Aida also teaches at the Monterey Institute of International Studies in California. Her interest is in interpreters – interpreters in an unusual environment, namely prisons. She isn't the only researcher in this area; there's also Linda Rossato of the University of Bologna, who gave a paper at last year's Forli conference (see References). But it's a very special interest. There are particular difficulties in collecting data in this area; for which reason, Linda says, "academia has tended to miss out on this productive field of research." First it's necessary to get permission to enter the prisons and meet the prisoners. Linda did it by giving Italian lessons. Aida laments that though she was able to make audio recordings, she was not allowed to make the videos she would have needed for studying body language. Many more knew Spanish anyway before they came here, because they're from Spanish-speaking Latin American or African countries. Therefore only a minority needs help. Nevertheless, the need exists. Today's videoconferencing technology would in theory allow the use of Professional Expert Interpreters in prison without the interpreter being physically located there. This is in fact what happens in a few jurisdictions, for example in the UK, where it's been analysed and criticised by Yvonne Fowler (see References). But it's still exceptional and for special occasions, considered expensive and not for daily life behind bars. "The general reality of European Union penitentiaries as regards treatment of foreign inmates is one of difficulties that arise because of language barriers. These barriers leave them disadvantaged, as compared to the natives, in access to medical care and legal assistance, work training and even some of the games and recreational activities. To solve the problem so far as possible, there is reliance on help from fellow prisoners, and to a lesser extent on prison staff, who provide ad hoc interpreting services on a voluntary and altruistic basis." And so we are back to Natural and Native Translators, and on an institutional scale. Linda sees it as a form of adult Language Brokering. Only in the UK, it seems, has the contribution of 'trusty' prisoner interpreters been officially recognised by the grade of Foreign National Prisoner Orderlies and some training given to them. But then the Brits also have a Foreign National Prisoners’ Resource Pack, "which is remarkable not only for its full content and the range of languages in which it is provided but also for including information directed to prison staff." The situation in Spain is much as in the other EU countries. Except that in 2004 the Interior Ministry awoke to the dangers of Islamic terrorism and engaged 30 professional Arabic translators to deal with the communications of the many Moroccan and Algerian inmates. However, it was decreed that "the translators are not allowed into the interior of the institutions," so it hardly changes the life of the prisoners. And in general it looks as if this is an area that will rely for a long time to come on Natural and Native Translators. Aída Martínez-Gómez Gómez. La integración lingüística en las instituciones penitenciarias españolas y europeas. (Linguistic integration in Spanish and European Penitentiaries). In Luis González and Pollux Hernúñez, eds., El español, lengua de traducción para la cooperación y el dialogo, Proceedings of the 4th El español, lengua de traducción Conference , Toledo, 2008, 485-500. The PDF version is here. Linda Rossato. Inmates mediating between languages and cultures. Paper to 1st International Conference on Non-Professional Interpreting and Translation, University of Bologna at Forli, 2012. To be published in the proceedings, 2014. 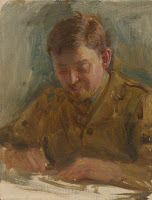 Yvonne Fowler. Interpreting into the ether: interpreting for prison/court video link hearings. Paper to the Critical Link 5 conference, Aston University, UK, 2012. In Sandra Beatriz Hale et al., eds., The Critical Link 5: Quality in interpreting – a shared responsibility, Amsterdam, Benjamins, 2009. There's a PDF version at http://criticallink.org/wp-content/uploads/2011/09/CL5Fowler.pdf. There may be errors in this post because Blogger isn't functioning properly at present.